While traveling with your dog can be fun, let’s face it, it’s not always feasible. Erratic schedules and allergic family members can add stress for everyone, not to mention the difficulty of flights or long road trips. That’s where dog boarding is helpful. Instead of worrying about potty breaks on long road trips or your allergic brother-in-law, you'll drop off your dog and know he is going to be fed, watered, and walked on a regular routine - with plenty of cuddles! In today's world, there are many pet boarding facilities filled with luxuries and social time that will keep your dog happy. In fact, if it’s been a while since you boarded your dog, you might be surprised at the amenities available in many dog boarding facilities: flat screen tv's, doggie cams so you can keep an eye on Fido, and regular play dates can keep you both happy. However, like anything, dog boarding requires a little preparation. This is especially true at busy times of the year, like the winter holiday season, Spring Break, and summer. Good dog kennels fill up quickly, and if you want to have options, then you’ll want to start earlier than you think. Most dog boarding facilities will be happy to give you a personal tour so that you can see where your pup will stay, but it’s a good idea to call ahead and schedule it. 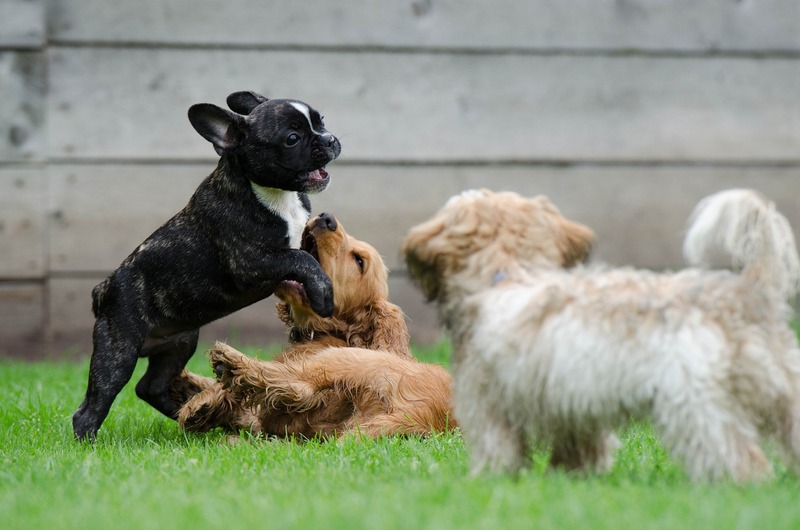 If you have an active and social dog, you may choose a dog kennel that offers open play time so that your dog can run and play with the other well-socialized dogs. Some dog boarding facilities also offer special beds and rooms with flat-screen televisions. When you look around your area at dog kennels, you’ll likely see many options to fit your dog's personality. Every dog kennel will require proof of immunization. Your dog will need current rabies, distemper, and bordetella (kennel cough) vaccines to board anywhere. As you may know, these are highly contagious diseases, and dog kennels require their guests to be current on their shots for everyone's protection. If you have any questions about these, your veterinarian will be able to answer them. There may be other testing or parasite preventive requirements. Always ask for the list well ahead of time, just in case you need to schedule an appointment to get caught up. Some kennels supply the food while others require you to bring your own. Obviously, if your dog has special dietary restrictions, you’ll make the staff aware of your dog’s needs and bring food. But even if your dog doesn’t, you never know when a diet change may upset his tummy. A backup plan is a good idea. A favorite blanket or old t-shirt will smell like home and can calm anxious pets. If your kennel allows you to bring such items (some don’t because keeping up with individual items can be difficult), then tuck it into your bag with your dog’s food. Yes, it’s stressful leaving your fur babies with other people, but if you’re anxious, your dog will pick up on it and also be anxious. The best thing to do is say a quick good-bye and act cheerful when you drop off your dog. If you’ve booked early and found a quality dog kennel, your dog will be fussed over and taken right away to a fun activity. When you prepare ahead, you can leave your dog in good conscious knowing they’ll be cared for and have fun on their own little vacation. Many dogs return home happy and tired out from playing with other dogs. Dog boarding can be a positive experience for everyone. Your dog gets to play, rest, and have a set routine, while you know they're being well cared for at the kennel. If, for some reason, you're not sure if dog boarding is right for your dog, then discuss it with your veterinarian. They can make recommendations.